At the beginning of the year, it was decided that we would take a family Disney cruise to celebrate my niece’s third birthday. As a single woman in my late 30’s who loves to travel the world, spending a week on a boat with a thousand toddlers to visit places that are so overwhelmed with tourists sounded, well, terrible. The trip turned out to be great, but this isn’t an ad for Disney Cruise Line. Believe me, they don’t need the ad space (they will however sell you a terribly disguised time share on the boat over and over again). 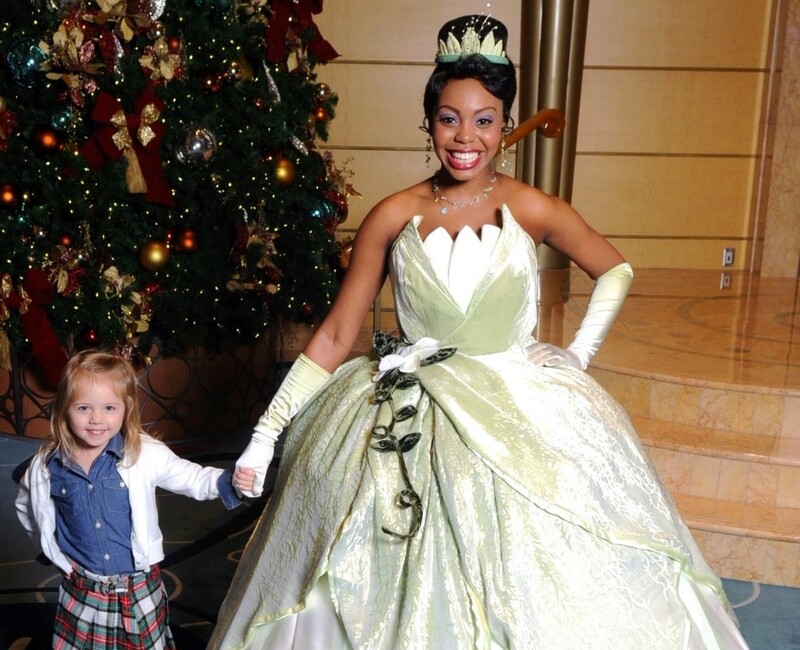 On our first day at sea, my niece had tickets to meet 4 Disney princesses: Ariel, Belle, Cinderella, and Tiana. Most Disney characters are of course not human, and therefore are played by some annonymous person, or most likely, a variety of different people. They can’t speak, you never see their faces, and while I would never think that is an “easy” job, the people that play them are not forced to outwardly emote. The princesses however, are of course human, and played by the same actress. I stood on a balcony above where they were meeting five year old girl after five year old girl and just watched them. Each actress got down on the child’s level, made eye contact with them, genuinely smiled, hugged, had conversation. Then they repeated it. Over, and over, and over again. Day after day. And since the characters are human, they don’t need the handlers you normally see with a character in full costume. They would randomly appear, morning, noon, and night, to greet throngs of youngs girls with a genuine smile on their face and hugs for everyone. I knew I wouldn’t find much information online about the nuts and bolts of this type of work, Disney is infamously great at keeping the “magic” under wraps. I did however find a job posting for the cruise ship princesses, and with zero pretenses the posting says you must work seven days a week, 70–84 hours per week. 70 to 84 hours per week. 70 to 84 hours per week of putting on a heavy ball gown, a wig, a perfect face of makeup, knowing every nuance of the woman they are portraying, and then kneeling down to a five year old level to smile, hug, and converse. The actress playing Ariel came up behind my niece one morning after breakfast, tapped her on the shoulder and said “didn’t I see you yesterday? I’m so happy to see you again!” She offered her a huge hug, asked what she had for breakfast, and told her she’d be sure to tell Flounder hello. She had indeed seen her the night before. And I’m sure a hundred other little girls too. How do these young women do it? How do they manage to always have a smile on their face, a warm hug, and enough emapthy within them to do that moment after moment, child after child, hour after hour, day after day? Can we as humans have that much emapthy? I talk to people and try to help them all day every day. And some days, or even some moments, I just don’t have it in me to put on that smile, give that hug, and have that warm conversation. But that’s what these women do without question. So why can’t I? I never thought I’d find myself learning empathy lessons from Disney princesses, but I try to remember how the hug they give to the child on hour one of the week is the exact same hug they give to the child on hour 84.